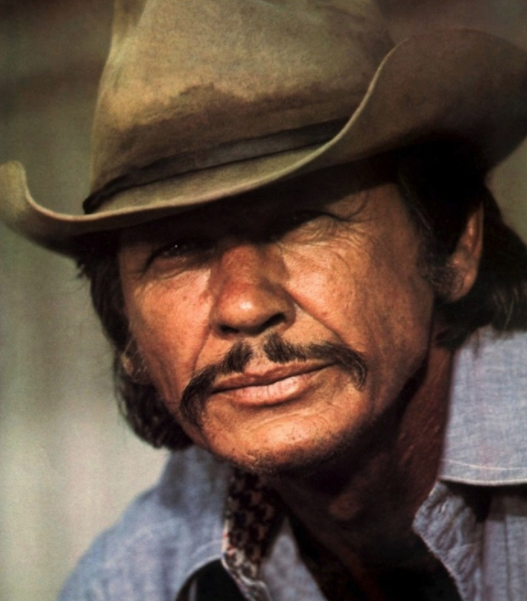 Charles Bronson (born Charles Dennis Buchinsky; November 3, 1921 – August 30, 2003) was a Lithuanian-American film and television actor. He was the 11th of 15 children born to a Lithuanian immigrant father and a Lithuanian-American mother. His father, Walter Bunchinski (who later adjusted his surname to Buchinsky to sound more “American”), hailed from the town of Druskininkai. Bronson’s mother, Mary (née Valinsky), whose parents were from Lithuania, was born in the coal mining town of Tamaqua, Pennsylvania. He learned to speak English when he was a teenager; before that, he spoke Lithuanian and Russian. Bronson was the first member of his family to graduate from high school. When Bronson was 10 years old, his father died. Young Charles went to work in the coal mines, first in the mining office and then in the mine. He later said he earned one dollar for each ton of coal that he mined. 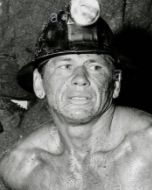 He worked in the mine until he entered military service during World War II. His family was so poor that at one time, he said, he had to wear his sister’s dress to school because of his lack of clothing. In 1943, Bronson enlisted in the US Army Air Force. He served in the 760th Flexible Gunnery Training Squadron, and in 1945 as a Boeing B-29 Superfortress aerial gunner with the Guam-based 61st Bombardment Squadron within the 39th Bombardment Group, which conducted combat missions against the Japanese home islands. Bronson, a corporal, flew 25 missions and received a Purple Heart for wounds received in battle. After the end of World War II, Bronson worked at many odd jobs until joining a theatrical group in Philadelphia, Pennsylvania. He later shared an apartment in New York City with Jack Klugman while both were aspiring to play on the stage. In 1950, he married and moved to Hollywood, where he enrolled in acting classes and began to find small roles. Bronson’s first film role — an uncredited one — was as a sailor in You’re in the Navy Now in 1951. Other early screen appearances were in Pat and Mike, Miss Sadie Thompson and House of Wax (as Vincent Price‘s mute henchman, Igor). In 1952, Bronson boxed in a ring with Roy Rogers in Rogers’ show Knockout. He appeared on an episode of The Red Skelton Show as a boxer in a skit with Skelton playing “Cauliflower McPugg.” He also had a part credited as Charles Buchinsky in a western named Riding Shotgun, starring Randolph Scott. In 1954, Bronson made a strong impact in Drum Beat as a murderous Modoc warrior, Captain Jack, who relishes wearing the tunics of soldiers he has killed. In 1954, during the House Un-American Activities Committee (HUAC) proceedings, he changed his surname from Buchinsky to Bronson at the suggestion of his agent, who feared that an Eastern European surname might damage his career. He reportedly took his inspiration from the Bronson Gate at the studios of Paramount Pictures, situated on the corner of Melrose Avenue and Bronson Street. He made several appearances on television in the 1950s and 1960s, including a 1952 segment, with fellow guest star Lee Marvin, of Biff Baker, U.S.A., an espionage series on CBS starring Alan Hale, Jr., and played a killer named Crego in Gunsmoke (1956). 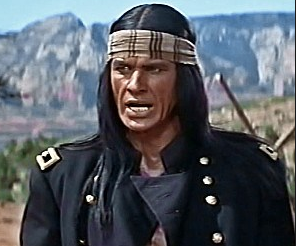 Bronson had the lead role of the episode “The Apache Kid” of the syndicated crime drama Sheriff of Cochise, starring John Bromfield; Bronson was subsequently cast twice in 1959 after the series was renamed U.S. Marshal. He guest-starred in the short-lived CBS situation comedy, Hey, Jeannie! and in three episodes of Alfred Hitchcock Presents: And So Died Riabouchinska (1956), There Was an Old Woman (1956), and The Woman Who Wanted to Live (1962). In 1957, Bronson was cast in the Western series Colt .45 as an outlaw named Danny Arnold in the episode “Young Gun.” He also scored the lead in his own ABC detective series, Man with a Camera (from 1958 to 1960), in which he portrayed Mike Kovac, a former combat photographer freelancing in New York City. In 1959, he played Steve Ogrodowski, a naval intelligence officer, in two episodes of the CBS military sitcom/drama, Hennesey, starring Jackie Cooper. Bronson starred alongside Elizabeth Montgomery in The Twilight Zone episode “Two” (1961). He appeared in five episodes of Richard Boone‘s Have Gun – Will Travel (1957–1963). In 1958, he was cast in his first lead film role in Roger Corman‘s Machine-Gun Kelly, followed by the lead role in the WWII film, When Hell Broke Loose later the same year. Bronson was cast in the 1960 episode “Zigzag” of Riverboat, starring Darren McGavin. That same year, he was cast as “Dutch Malkin” in the 1960 episode “The Generous Politician” of The Islanders. In 1960, he garnered attention in John Sturges‘ The Magnificent Seven, in which he was cast as one of seven gunfighters taking up the cause of the defenseless. During filming, Bronson was a loner who kept to himself, according to Eli Wallach. He received $50,000 for a role that made him a favorite actor of many in the since disbanded Soviet Union, such as Vladimir Vysotsky. Two years later, Sturges cast him in another Hollywood production, The Great Escape, as claustrophobic Polish prisoner of war Flight Lieutenant Danny Velinski, nicknamed “The Tunnel King” (coincidentally, Bronson was really claustrophobic because of his childhood work in a mine). In 1961, he was nominated for an Emmy Award for his supporting role in an episode entitled “Memory in White” of CBS’s General Electric Theater, hosted by Ronald Reagan. In 1962, he played alongside Elvis Presley as his loyal trainer, Lew Nyack, in Kid Galahad. In 1963, Bronson co-starred in the NBC Western series Empire. In the 1963–1964 television season he portrayed Linc, the stubborn wagon master in the ABC western series, The Travels of Jaimie McPheeters. In the 1965–1966 season, he guest-starred in an episode of The Legend of Jesse James. In 1965, Bronson was cast as a demolitions expert in an episode of ABC’s Combat!. Thereafter, in The Dirty Dozen (1967), he played an Army death row convict conscripted into a suicide mission. In 1967, he guest starred as Ralph Schuyler, an undercover government agent in the episode “The One That Got Away” on ABC’s The Fugitive. Bronson made a serious name for himself in European films. In 1968, he starred as Harmonica in Once Upon a Time in the West. The director, Sergio Leone, once called him “the greatest actor I ever worked with,” and had wanted to cast Bronson for the lead in 1964’s A Fistful of Dollars. Bronson turned him down and the role launched Clint Eastwood to film stardom. In 1970, Bronson starred in the French film Rider on the Rain, which won a Hollywood Golden Globe Award for Best Foreign Language Film. The following year, this overseas fame earned him a special Golden Globe Henrietta Award for “World Film Favorite – Male” together with Sean Connery. 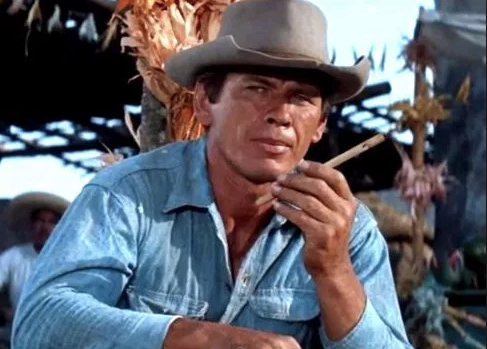 In 1972 he began a string of successful action films for United Artists, beginning with Chato’s Land, although he had done several films for UA before this in the 1960s. One film UA brought into the domestic mainstream was Violent City, an Italian-made film originally released overseas in 1970. 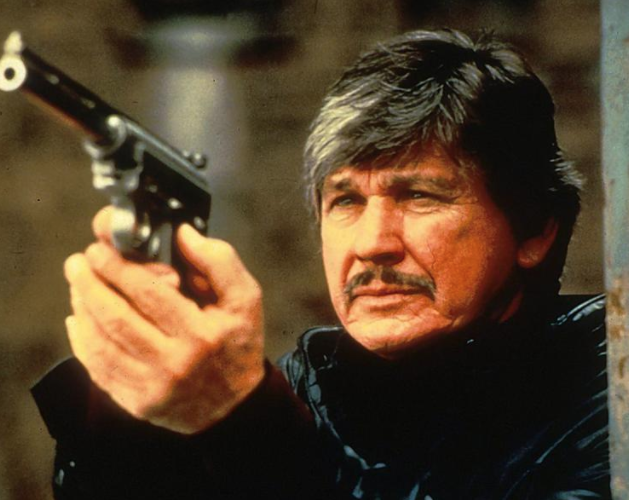 Bronson’s most famous role came when he was age 52, in Death Wish (Paramount, 1974), the most popular film of his long association with director Michael Winner. He played Paul Kersey, a successful New York architect who turns into a crime-fighting vigilante after his wife is murdered and his daughter sexually assaulted. This successful movie spawned various sequels over the next two decades, all starring Bronson. In 1974, he had the title role in the Elmore Leonard film adaptation Mr. Majestyk, as an army veteran and farmer who battles local gangsters. For Walter Hill‘s Hard Times (1975), he starred as a Depression-era street fighter making his living in illegal bare-knuckled matches in Louisiana. He earned good reviews. 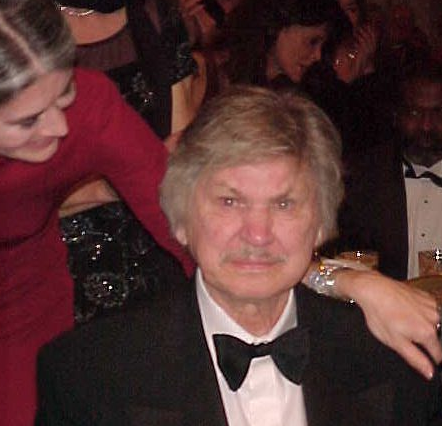 Bronson reached his pinnacle in box-office drawing power in 1975, when he was ranked 4th, behind only Robert Redford, Barbra Streisand, and Al Pacino. His stint at UA came to an end in 1977 with The White Buffalo. He was considered for the role of Snake Plissken in Escape from New York (1981), but director John Carpenter thought he was too tough looking and too old for the part, and decided to cast Kurt Russell instead. In the years between 1976 and 1994, Bronson commanded high salaries to star in numerous films made by smaller production companies, most notably Cannon Films, for whom some of his last films were made. Many of them were directed by J. Lee Thompson, a collaborative relationship that Bronson enjoyed and actively pursued, reportedly because Thompson worked quickly and efficiently. Thompson’s ultra-violent films such as The Evil That Men Do (TriStar Pictures, 1984) and 10 to Midnight (1983) were blasted by critics, but provided Bronson with well-paid work throughout the 1980s. Bronson’s last starring role in a theatrically released film was 1994’s Death Wish V: The Face of Death. The Bronsons lived in a grand Bel Air mansion in Los Angeles with seven children: two by his previous marriage, three by hers (one of whom was adopted) and two of their own (another one of whom was adopted). After they married, she often played his leading lady, and they starred in fourteen films together. In order to maintain a close family, they would load up everyone and take them to wherever filming was taking place, so they could all be together. They spent time in a colonial farmhouse on 260 acres in West Windsor, Vermont. Ireland raised horses and provided training for their daughter Zuleika so that she could perform at the higher levels of horse showing. Their Vermont farm was named after her, the only natural child between them. During the late 1980s through the mid-1990s Bronson regularly spent winter holidays vacationing with his family in Snowmass, Colorado. On May 18, 1990, aged 54, after a long battle with the disease, Jill Ireland died of breast cancer at their home in Malibu, California. In December 1998, Bronson was married a third time. to Kim Weeks, a former employee of Dove Audio who had helped record Ireland in the production of her audiobooks. 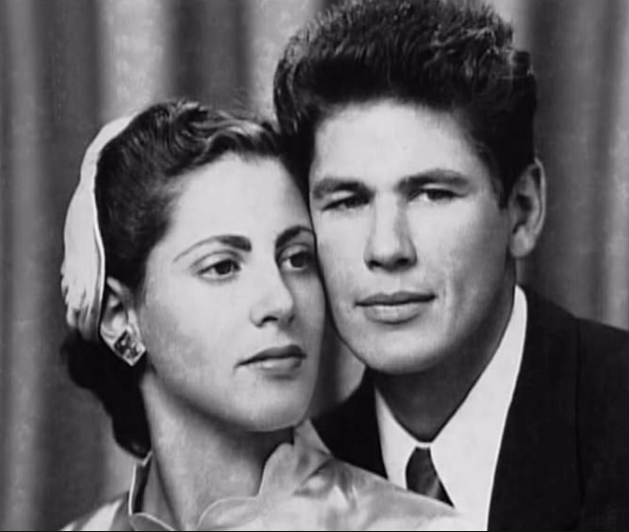 The couple were married for five years until Bronson’s death in 2003. Bronson’s health deteriorated in later years, and he retired from acting after undergoing hip-replacement surgery in 1998. He suffered from Alzheimer’s disease in his final years. 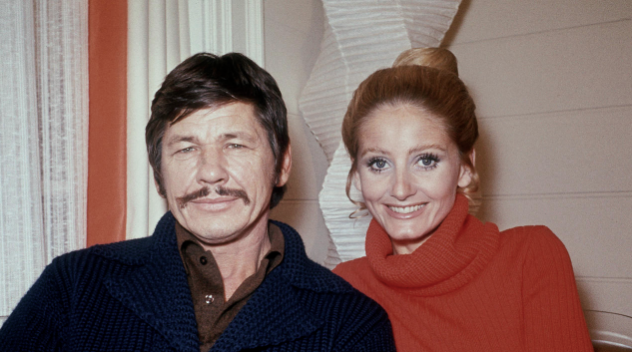 Bronson died of pneumonia at age 81 on August 30, 2003 at Cedars-Sinai Medical Center in Los Angeles. He was interred at Brownsville Cemetery in West Windsor, Vermont.